Maybe it’s time to give white chocolate a chance? Or you not a fan? 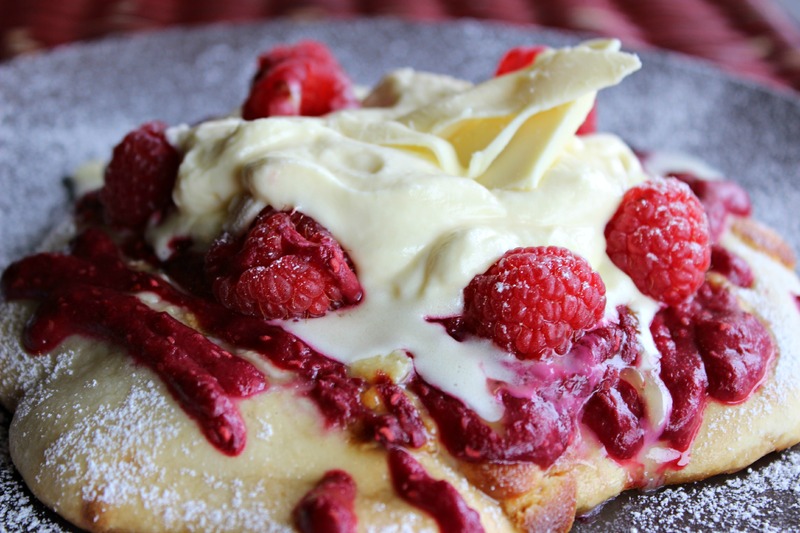 This week at Dello Mano we’ll celebrate White Chocolate in everything from Hot White Chocolate to Pancakes with White chocolate Mousse and fresh raspberries. White chocolate looks different and doesn’t taste like regular chocolate. It doesn’t have the bittersweet taste that makes regular chocolates addictive. That’s because it isn’t really chocolate after all. But it does have a few selling points. There must be a reason why white chocolate has been and will always be sold in stores. Perhaps the first time you tasted white chocolate, it wasn’t a great quality? Here at Dello Mano we use Belgian chocolate and the white although not my preferred dark chocolate, is a lovely rich, creamy white chocolate. Technically, as I mentioned, white chocolate isn’t a chocolate. White chocolate doesn’t contain chocolate liquor, which gives chocolates their brown colour and their bitter flavour – that’s why it cant be classed as chocolate. Nonetheless, it is considered another type of chocolate as it has other ingredients that typical chocolates have, such as cocoa butter, sugar, milk solids, vanilla, and lecithin. What is really enticing about white chocolate is its rich, silky and creamy flavour. The cocoa butter gives white chocolate it’s subtle taste, and the vanilla greatly boosts its flavour. White chocolate isn’t just great for snacking. It is also a popular baking ingredient. And because it doesn’t have that very powerful flavour like most types of chocolates, white chocolate makes a perfect complement for chocolate desserts, ice creams, and other goodies with bolder flavours. Its’ delicate taste adds complexity and sweetness to brownies and blondies, ice creams, ganaches, frostings, and many more. It also brings a wonderful flavour to cakes! . Like this one Dello Mano White Chocolate Cheesecake, made special with ginger cookies as the base. Heaven and available in store by order ( 1300 551 582) and available for cake delivery Brisbane. 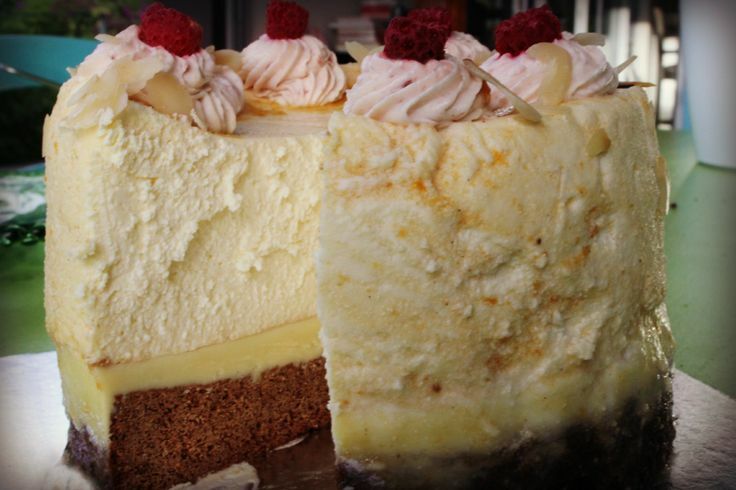 Dello Mano White Chocolate Cheesecake. Have you tried combining dark and white chocolate yet? The combination is perfect. The subtle richness of white chocolate mellows the intense flavour of dark chocolate – creating a wonderfully balanced mix of chocolate goodness. One of the issues with white chocolate though, that makes many home bakers frustrated is that white chocolate is very challenging in the kitchen. The reason for this is the milk solids and cocoa butter – two fats which have different melting points. So when you melt white chocolate without knowledge of the right technique, you can end up having a lumpy, totally ruined chocolate – and sadly off to the trash bin! What many people don’t realise is that melting white chocolate is actually simple. Simply chop the white chocolate into tiny pieces and stir constantly as you melt them. You can use a double broiler or simply put your chopped white chocolate in the microwave, and heat for 30-second increments. It is very sensitive so be very careful not to overheat it and always stir to stop hot pockets from forming. Make sure to really check your white chocolate for good quality ingredients. Some manufacturers don’t even use cocoa butter, but vegetable oil instead, which leads to poor quality white chocolate. So the next time you buy white chocolate, whether for snacking or cooking, carefully check the labels. Look for good quality white chocolates, and give it a chance. Got any thoughts on white chocolate – let us know below. White chocolate pancakes sound so good!